To mitigate the effects of climate change, Europe is accelerating its transition to renewable energies. Electrification and an increased use of batteries is one of the cornerstones of this transition, enabling the large-scale conversion to sustainable transportation as well as a deep integration of renewable sources in the energy mix. With limited current and planned capacity in place, Europe is now facing a major battery deficit of within the next few years. “We are happy to support Northvolt in building the battery factory of the future. With our Digital Enterprise portfolio, we contribute to a competitive battery cell production in Europe that fully exploits the benefits of software and automation: greater flexibility, efficiency and quality with shorter time to market”, said Jan Mrosik, CEO of Siemens Digital Factory Division. “Northvolt is driving the battery production to build a battery with very low Co2 footprint. Our Digital Enterprise portfolio will support Northvolt in building a state-of-the-art battery plant. We are excited to go in as a partner in this project,” said Ulf Troedsson, President and CEO of Siemens Nordics. Once completed in 2020, Siemens intends to purchase batteries from the factory, making Northvolt a preferred supplier. Siemens will support the partnership through an investment of EUR 10 million. 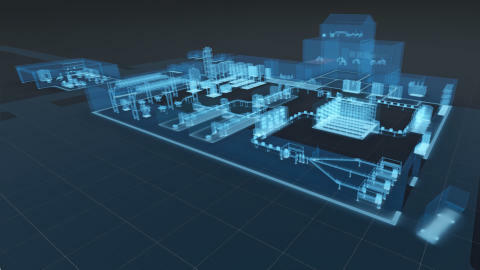 Siemens sees the Northvolt initiative as a reference project for the battery production of the future, which will rely on the integration and digitization of the entire value chain: from the design of the battery cell through production planning, engineering and production to services. Cutting edge technology. 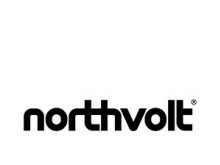 Use of the Siemens' Digital Enterprise portfolio, encompassing everything from manufacturing planning and design software to automation, including industrial communications networks and cloud solutions, will allow Northvolt to optimize its battery production and sharpen its competitive edge. Supply of lithium-ion batteries. Siemens intends to purchase batteries from Northvolt once its large-scale production facility is up and running. The companies are also exploring potential areas for joint development programs. “The European industry is moving rapidly towards electrification. With its world-class expertise within electrification, automation and digitalization, Siemens will become an important technology partner, supplier and customer to Northvolt in this coming transition. Once we begin large-scale production, our aim is to supply the greenest lithium-ion batteries in the world,” said Peter Carlsson Co-Founder and CEO, Northvolt.